Hi good people! I am a bookworm. I have had a mad love affair with books since I became literate at the age of three. There is something so special about becoming immersed in another world for a spell, stepping into someone else's skin and trying to understand them. It is escapism in its deepest and purest form. Over the last few years since I started college, I feel that other interests have usurped my attention, and reading has not been getting enough love. Last year, I joined a book challenge n May, where the aim was to read 50 books over 2014. I did not quite make it to 50 books, but I was able to read 15 books, which I am pretty happy with. So to share my love for the written word, I am starting a feature called GoodReads, where I review the books I am reading. I thought I'd share the titles of the books I read in 2014 below. 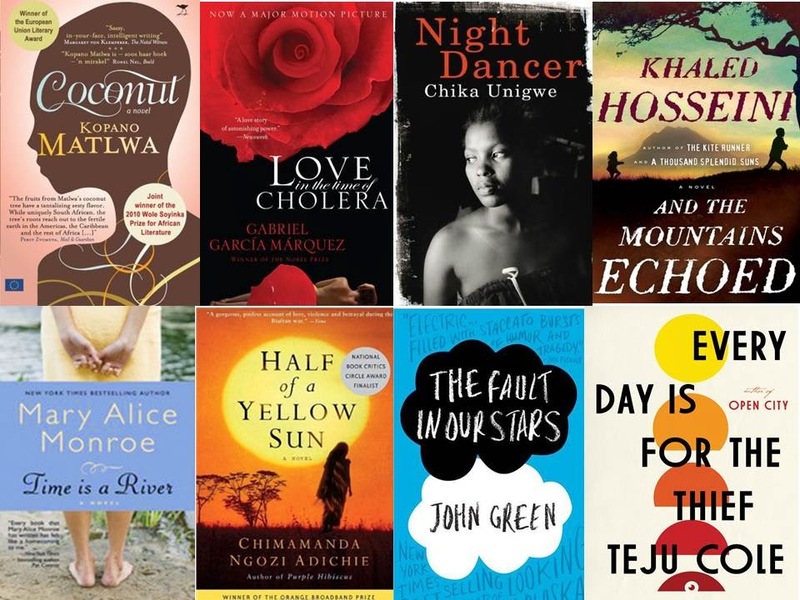 These books were a blend of Nobel Laureate standard writing (shout-out to Marquez and Malala, and very soon Chimamanda Adichie and Khaled Hosseini, in my opinion), and Chick lit (Danielle Steele and Mary Alice Munro). I thoroughly enjoyed the act of consciously making time to read for pleasure. This year, I am embarking on the 50 book challenge again. I have finished my first book of the year, Secrets of The Bending Grove. It is by N. Maria Kwami, who is not only an amazing author and activist, but also happens to be my mama's best friend. For my next GoodReads feature, I will do a review of her debut novel.